It turns out that despite years of concerted advice and insistence by the cliché, people mostly do judge a book by its cover. Cover design matters! Over the next few months, I want to post a few articles on some of the different elements of book production and publishing. In the overall timeline of book production, cover design usually comes after such things as writing and editing the book, but I want to start with design because it is probably the most glamourous of all the steps in creating a great book. So let’s start with the icing! If it really is true that people judge a book by its cover and that first impressions make a difference, then having a great cover is crucial to your book project. You spend months, maybe years, working on the content of the book, only to have people scroll on by because the presentation caused them to dismiss your book. How do you want your book to be perceived? – It will represent your book accurately, convey an idea of the content effectively, spark a positive emotion in the reader, and package the product appropriate to the target market and genre. – It will speak volumes (excuse the pun) about the quality of your book. Even if you are self-publishing, there is absolutely no reason why the finished product shouldn’t look just as good as something that comes out of a commercial publishing house. Not everyone has an instinctively good eye when it comes to design, but everyone can up-skill and do research. That’s why I recommend that the first step in getting a good cover design is to go to a bookshop or library (assuming that such things still exist in your neighbourhood!) and look at book covers. Look at the cover designs of recent and new releases. Get a feel for what is happening in the world of book design. Having looked at the designs of all kinds of books, narrow your research down to the particular genre and target market that you are working with. Collect designs that you like. I’m not recommending that you copy these designs, but you need to know what products in your market look like – even if it means that you go on to create something more effective! Now go hire a designer. Unless you have an established talent for design yourself, and the technical know-how to execute the design, you are best to have a professional on the job. Maybe this will be your niece or nephew – but be careful. Putting aside the feel-good factor of having a relative or friend work on your project, professionalism and expertise are the main considerations. In choosing a designer, look at their previous work and see if their skills match what you are trying to achieve. Some designers are very versatile, but having said that, most designers have a particular visual style, so be conscious of their style and how it might impact your cover design. Cost will be a factor in hiring a designer, but it’s worth spending some money. It may not be as expensive as you think. Negotiate a price, but don’t insult the designer by being a cheapo – they work hard and have the talents that you need – so pay them their dues. You can reach a happy outcome for both parties in terms of budget. In briefing the designer, show them your research and tell them what you are hoping to achieve. Also be open to other fresh ideas that the designer might bring to the table. The unexpected, so long as it is still fit to purpose, might be exactly the right thing. The ideal working relationship will be one where you trust the designer to be the expert and be prepared to entertain their ideas, but also retain focus on where you are heading. If you don’t like something they’ve done, say so, but be open. See the process as a collaboration. The relationship will be difficult if there isn’t an element of trust and mutual respect – and that’s something to think about when choosing the designer initially. Here’s a bit of bonus ‘inside’ info. I haven’t gone into the nuts and bolts of cover design in this article (perhaps another time), but I want to pass on a few important technical considerations. In today’s online book market, your book cover is often seen at ‘thumbnail’ size, ie the miniaturised product image that book and ebook retailers show on their websites. So your design needs to look good at that small size. No matter what size the cover displays at, make sure the title stands out. Don’t overwhelm the typography with imagery. Your eye needs to land on the title first, before it tracks around the rest of the cover. When you look at the design, if it feels like your eye doesn’t know where to look or it is jumping around the cover too much without a clear focus, your cover is probably too cluttered or not well laid out. The various elements (type and image) shouldn’t be fighting each other. Enjoy the process of designing your book cover and get excited about it – your book is getting dressed up for its big debut! Feel free to post any questions (or requests for future articles) in the comments section below. And don’t forget, you can come to Castle for any or all of the services you need to make your book the best it can be – including beautiful cover design! Contact us. Without wanting to give a full history lesson, it all started with the development of the personal computer and desktop publishing software. Digital publishing technology grew from there – the other important developments were digital printing and the ebook. Digital printing (a form of glorified photocopying, with extremely high quality results that are as good and often better than older print technology) meant that smaller numbers of books could be feasibly printed. When I first started in the publishing industry 13 years ago, the only real option was offset printing on a traditional printing press. To make that feasible (ie, to make the cost per book realistic), you needed to print a minimum of 1000 books and preferably 2000. That’s a lot of books in the context of the New Zealand market, so the risk was significant. For a self-publisher or a small publishing company, that meant potentially ending up with a garage or basement full of books if they didn’t sell. With the advent of digital printing, the cost per book of printing a small number of books dropped significantly. So now it is feasible to print 250 copies (or even less in some cases). The initial risk is greatly reduced, and reprints can be done with a minimum of fuss if more copies are needed at any given time. Meanwhile, along came ebook technology. This is a paperless technology and so the cost of printing is taken out of the equation completely. Amazon and others developed ebook readers that are wonderfully easy to use and so good that even die-hard book-lovers can be swayed by the availability and usability of ebooks. 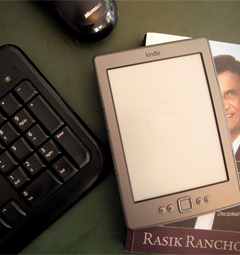 The ‘eBook Revolution’ it was called, and the buzz swept through the publishing world. Would this be the death of printed books? What would happen? eBooks provide another great opportunity for self-publishers. Having your book as an ebook is cost effective and makes it available to a potentially huge audience. As the hype around ebooks begins to settle, here is my assessment of the situation: eBooks are here to stay, are the way of the future, and the forerunners to some amazing future technology. But printed books have a lot more life in them yet – and aren’t disappearing any time soon. For example, data shows that ebooks are massively popular for fictional books (ebook sales now exceed paper book sales) but in non-fiction, printed books still beat ebooks in terms of sales. The self-publishing strategy that we recommend is ‘ebook plus a short printed run’. So this means that you should have your book produced as an ebook (for future-proofing and availability) and also do 250 to 1000 digitally printed copies. The number you should print depends on how sure you are about how many you might be able sell. If, for example, you are out speaking to groups a lot and selling books along the way, then printing more copies might be a sensible idea. So the time and technology is right for you to publish your book. And the tools are there for you to do it all yourself, but should you go it alone? And here’s the rub of the DIY, quick and ready, scene that we’re now in. Quality is slipping. I was at a publishing workshop recently where the expert (who was otherwise very good) told the participants not to worry too much about the quality of the formatting of their ebooks because… well, because no one really cares about the quality of formatting in ebooks. Quality always matters – most of us would agree that when it comes to reading a book or ebook, if the formatting and editing is all over the place, it will detract from the reading experience and stand in the way of the message the author is trying to convey. Enter Castle Publishing. At Castle we take advantage of all the wonderful tools and technology that now make publishing so readily available, but we provide the expertise and experience to make your book a high quality product. Our belief has always been that self-published books can match commerically-published books in terms of quality – that on the shelf, you shouldn’t be able to tell the difference. And ‘quality’ doesn’t have to mean ‘expensive’ – mainly it is about attention to detail and making use of the experience and expertise we have. Not only that, but we can guide you through what can potentially be a daunting process – you don’t have to go it alone. Let’s face it, you’re pouring yourself into your book – you’re investing yourself in it – so it’s worth doing well. So step out, take advantage of the opportunities that now exist for you to publish your book, but get someone with publishing know-how on your team. Writing is essentially a solo occupation. Most authors seek out solitude when they’re working, but sometimes that solitude feels like isolation. The great news is that there are ways to find support and connect with other authors – you just need to know where to look. Being part of a community of writers provides an opportunity to bounce ideas around, get trusted constructive criticism and, importantly, to interact with people who understand what you’re up to! Many towns have writers’ groups – so perhaps search online or ask at your local library to find a group near you. But if you are a Christian author living in New Zealand, I’d like to point you in the direction of the New Zealand Christian Writers Guild. This Saturday, the NZCWG is celebrating its 30th anniversary, with an event that features published author Dr John Sturt and Castle’s Managing Director John Massam as guest speakers. For 30 years the guild has been doing a fantastic job of supporting and up-skilling its authors. For more information about becoming a member, receiving copies of their publication or about their workshops and meetings, head over to the NZCWG website. Another place to search for like-minded people and groups is on Facebook. Facebook is excellent for helping to build communities of people – no matter how geographically scattered those people might be. Recently I came across the Facebook group, Christian Writers Downunder – a friendly bunch of Australasian Christian writers getting together online. You’ll need a Facebook account, but you can visit their page and request to join in here. So get alongside other authors, and avoid the pitfalls of always working alone.